News And Events – Temple Lodge, No.33, Duncan, B.C. The next Regular Meeting of Temple Lodge, No.33 will be held on Tuesday, 9 April 2018, 7:30 p.m., at Duncan Masonic Temple. All Visiting Brethren are very welcome to attend. There will be an Entered Apprentice Degree to Initiate two Candidates on Tuesday, 26 March 2019, 7:30 p.m., at Duncan Masonic Temple. All Visiting Brethren are very welcome to attend. The annual Installation of Officers will be held on Saturday, 6 April 2019, 1:00 p.m. at Duncan Masonic Temple. All Visiting Brethren are very welcome to attend. A Freemasons Coffee Social is hosted by Temple Lodge, No.33 every Tuesday morning at 9:30 a.m. at the Duncan Masonic Temple. All Freemasons and guests are welcome to attend. It’s very informal. Temple Lodge, No.33 is pleased to announce that Duncan is now a hub on the Freemasons Cancer Car Program on Vancouver Island. 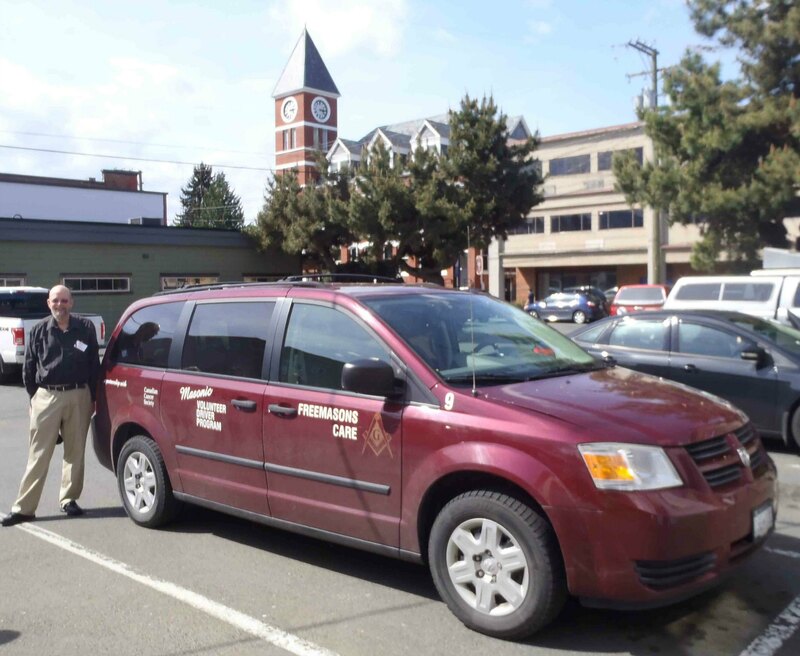 The Freemasons Cancer Car Program has stationed a vehicle in Duncan to better serve the needs of Duncan and Cowichan Valley patients. Doug Sowden, the Freemasons Cancer Car program co-ordinator for Vancouver Island, with the Cancer Car vehicle now stationed in Duncan.